With any new or innovative development comes an inevitable level of confusion, hype and expectation… Cloud is no different. How best then to leverage the value it might present? What are others in your industry considering? Will engaging some form of cloud strategy now help your organisation to be more effective or save on costs in the future? Despite the huge publicity around cloud, many organisations in Ireland are continuing to rely on traditional or existing architecture and solutions while keeping a watching brief on emerging trends and cloud success stories. 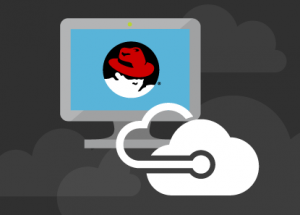 Red Hat’s recent announcement confirming that Microsoft has joined its Certified Cloud and Service Provider Program – thus enabling Red Hat workloads to be fully supported on Azure – is a further significant step in facilitating Cloud adoption for many organisations. At Securelinx our abilities with cloud solutions such as Amazon EC2, Azure and OpenStack are deeply rooted in a culture of pragmatism. We offer many years experience working in different IT environments where change is constant. As a result, our Cloud services provide a blend of technical expertise to help customers engage effectively with their preferred Cloud platform while delivering beneficial outcomes. For more information about how Securelinx can help you with Cloud Services contact us today.